Still Writing Drum Charts By Hand? and STILL Play the Song Just Like the Recording? Today You Can Learn How to Write a Chart Like This! You Can Make Your Gigs and Sessions go smoothly….And I GUARANTEE You Will Never Miss an Accent or Fill Again! My name is Liz Ficalora,–Berklee graduate, PASIC Master Class Clinician, Remo and Vic Firth Artist endorsement, teacher and working professional drummer, percussionist in Nashville, TN. …and the gig starts in an hour? How To Book that I’m about to share with you! A simple how to method to writing drum music for cover and original songs. Designed by the author Liz Ficalora. Now Your Charts Can Look Just Like the Ones In This Book! Take Them With You On Any Mobile Device to Your Practice or Performance! Meanwhile, start an account and try the free trial today! This method is becoming the standard that is used by professional drummers worldwide. 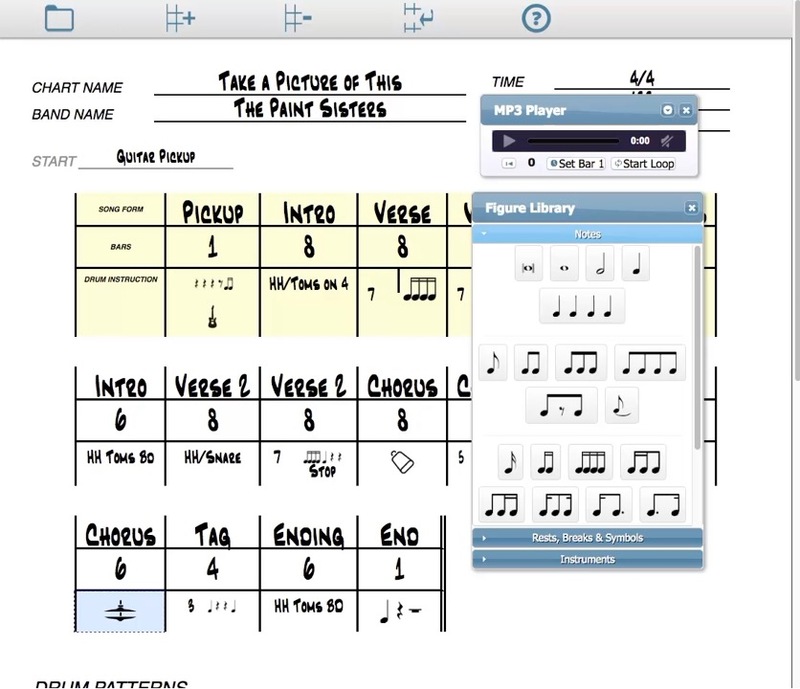 Great for any level drummer or student. as the perfect tool for all level drum students. 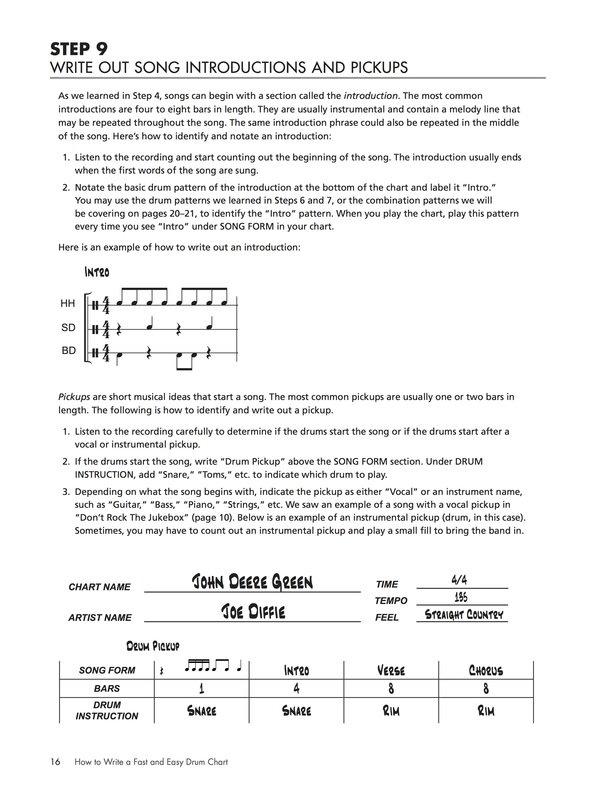 How to Write a Fast and Easy Drum Chart teaches an innovative and simple approach to drum chart writing that takes almost no time to learn. Charting a song helps you play with greater accuracy, ensuring that you play the song correctly the first time and every time. This, in turn, will help you land better gigs and build confidence. 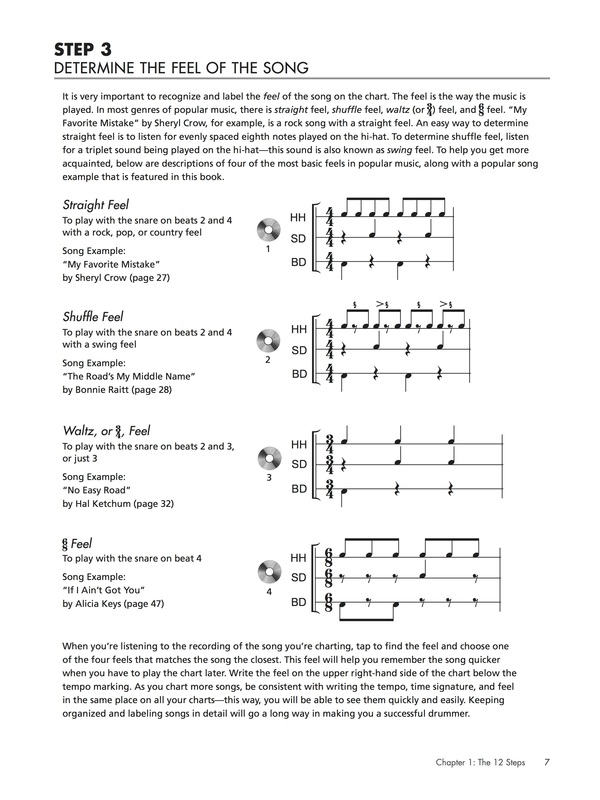 Designed for drummers, composers, and students who work with different bands and need charts for al the various songs they encounter, the method taught here won’t require you to turn pages or read bar after bar of drum notation, Instead. You’ll see the full form of a song on one piece of paper and only have to write a few measures of drum notation to keep yourself in the groove. 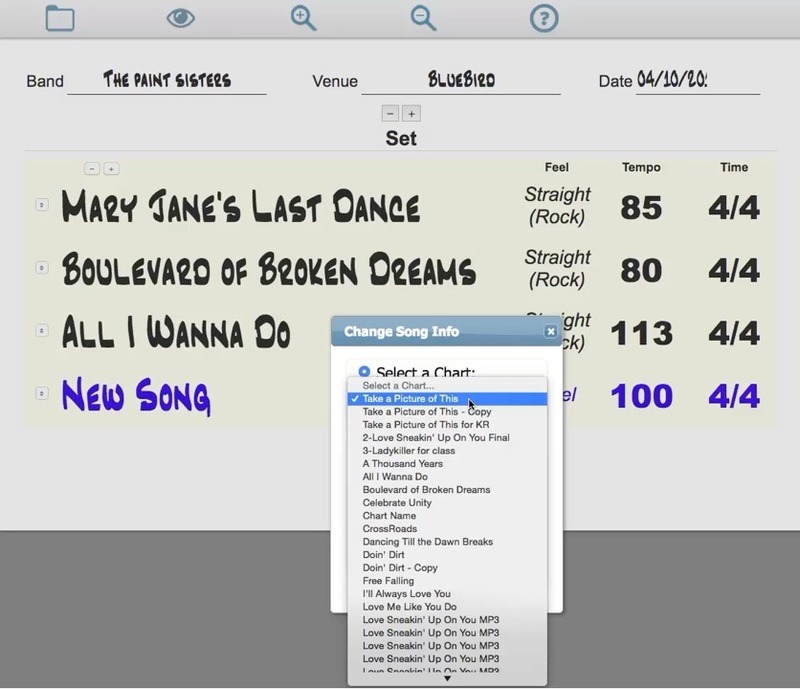 Make your life easier and land more gigs when you can easily and accurately play songs right away. 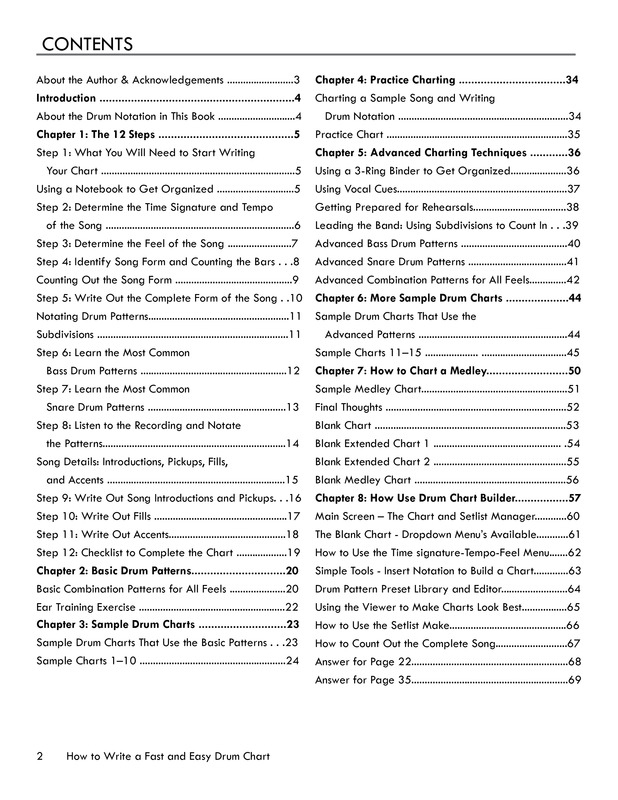 In addition to the how to write a drum chart, there is a full section on how to use the new Drum Chart Builder Software Program to build your charts using your new skill just like the one in the book. Charts will look beautiful and clean. Build your charts on your computer and take a mobile device and go! Visit Drumchartbuilder.com to read more. 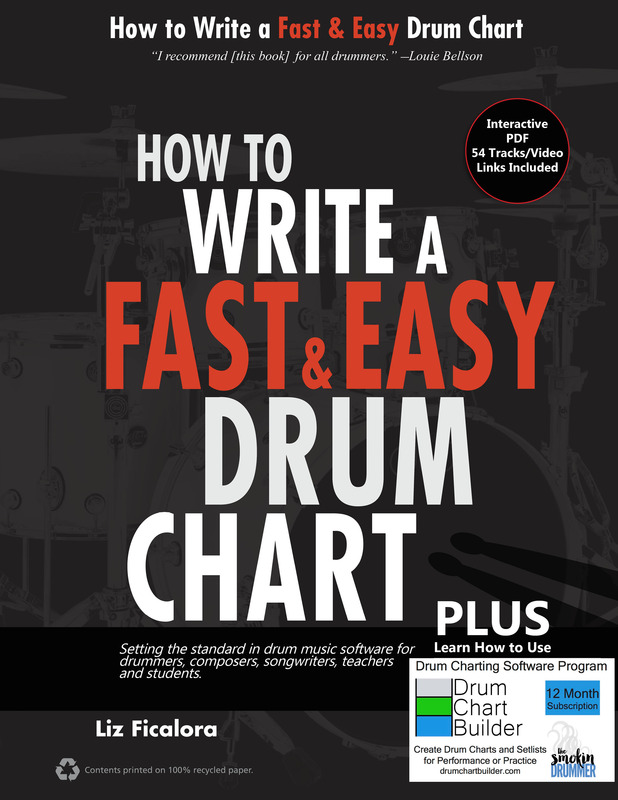 of the Drum Chart Builder Software Program. She has been featured in Tom Tom Magazine, Drum! Magazine, Rhythm Magazine and Berklee Today. Endorsed by Louie Bellson, Gary Chaffee, Remo, Vic Firth, Drum! Magazine, Guitar Center, Rich Redmond, Lalo Davila and Jeff Salem. 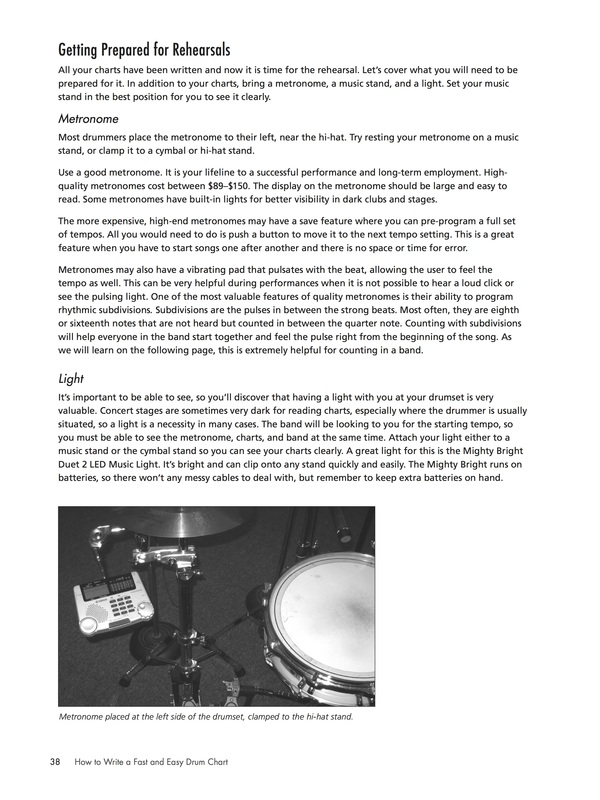 4 Pages of Basic and Advanced Drum Patterns to listen, practice and learn. 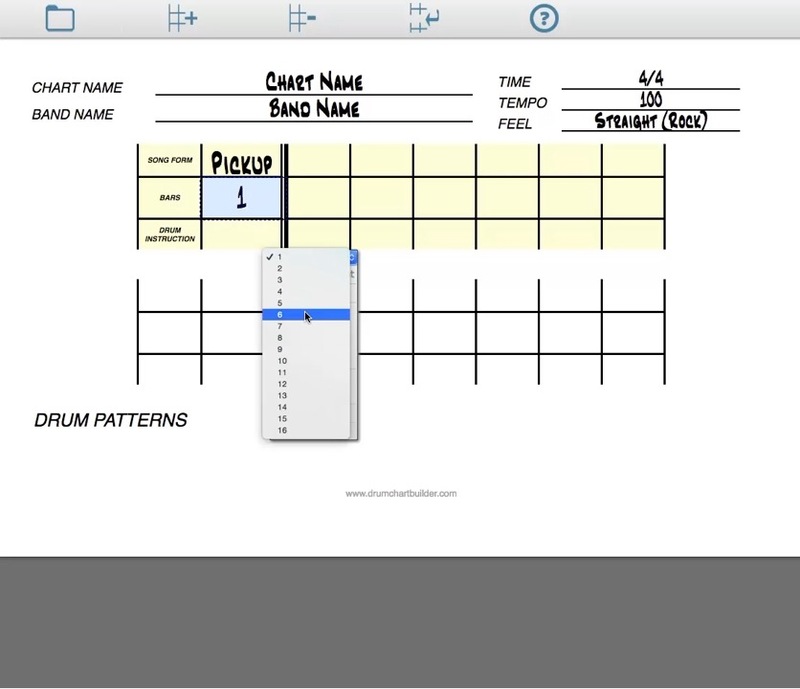 6 Video’s on How to Use The Drum Chart Builder Software So You Can Learn Faster. tackle any drumming job with confidence. But wait there is more!! and help you continue to make money doing what you love to do. Learn the simple secrets to get started and advance your career. I have lived it and now I am passing my experience on to you. When you accept a gig, do you ask all the right questions to assure that we are going to get paid? realized that because you forgot to ask important detailed questions you were left stranded on the side of the road? I have put together a check list to help all drummers ask all and the right questions so you will get paid fairly and have fun. I want you to succeed and come home with money in your pocket. 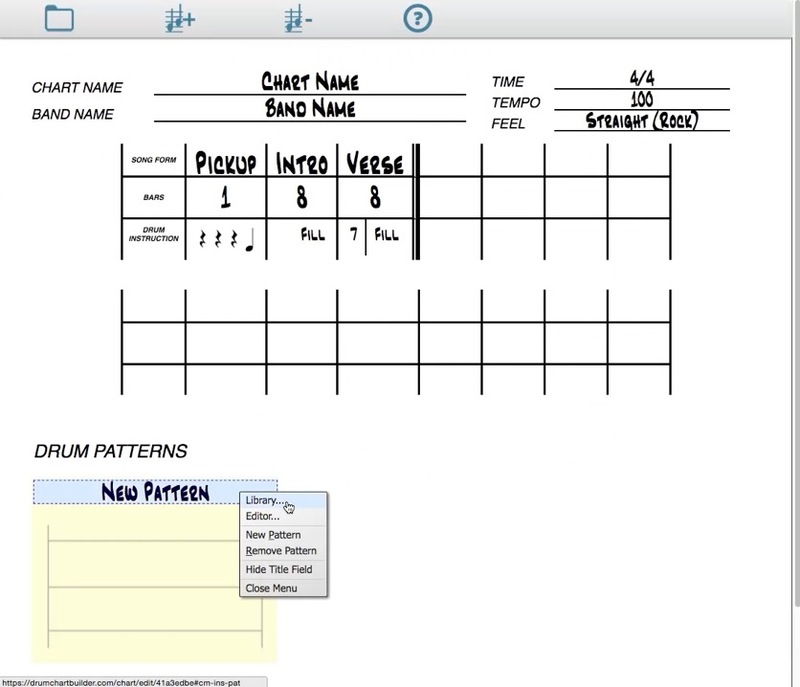 An amazing drum charting system that is simple and easy to use. and start charting in the next 5 minutes. Take one full year to examine and use this system. Don’t Delay Your Career Any Longer!